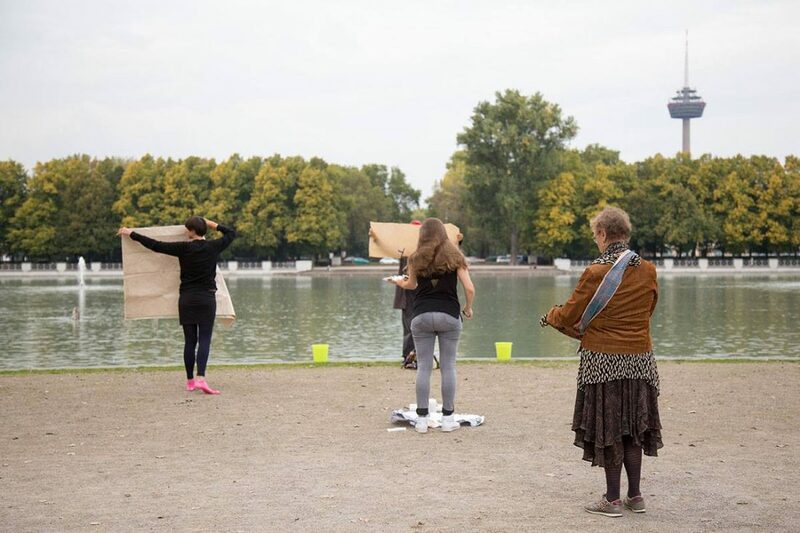 PAErsche will meet, Tuesday 27, 4pm, at the Rhein / Südbrücke in Cologne Poll to celebrate and acknowledge the March Equinox, in conjunction and solidarity with other performance art groups around the world. The Equinox was on Tue 20 March, so it is not so much that we are limited to that date and time because of peoples committments but more as an acknowledgement of the essence of the time change and the solidarity of the network. Same Difference: Equinox to Equinox 2016 was a collaboration of 43 performance art organisations worldwide making group performances in public space. This project involved the worldwide participation of 283 Artists, in 43 Locations, from 29 Countries in 1 Day of public performance art. Participations were included from diverse geographical positions – the Northern and Southern hemispheres, from the far South, East of Greenwich Mean Time, Dunedin in New Zealand to inside the Arctic Circle at Svalbard and West Coast of Canada, Victoria, in British Columbia. These performances took place on the Autumn Equinox, 22nd Sept, 2017 when the day and night are almost equal in most locations. Same Difference: Equinox to Equinox is a celebration of the generosity of spirit that artists can bring to life and marked a specific time and connectivity through Performance Art. The document explores the diverse conditions and nature of Performance Art in public space on a worldwide scale. An important aspect is that the project could only be realised with the very generous input for all the artists concerned, so this celebration marks the manifestation, from the thought to the action, the abstract to the concrete, in time, equal light/time zone, the Equinox.